A vast array of fruit and vegetables have been grown by children learning about health, nutrition, science and sustainability. The students all took part in Project Greenhouse, an initiative from WCM-Q’s Sahtak Awalan – Your Health First campaign that is designed to teach children not only where their food comes from, but also the types of food they should be eating to stay healthy and to avoid diabetes and obesity when they are older. Each year the 101 schools that have received a greenhouse from Your Health First compete to see who has the best harvest. The winners have now been announced, with Qatar Leadership Academy (QLA), member of Qatar Foundation for education, science and community development in Al Khor claiming first prize by not only producing a bumper harvest, but also incorporating the greenhouses into a multitude of different lessons and community projects. Umm Salal Ali Model Independent School for Boys came second, and Omar Ibn El Khatab Educational Center came third. Ali Jassim Al Kuwari, head of the Adult Education Section at the Ministry of Education and Higher Education, presented the trophy for first place. Brigadier General Ali Ahmad Al Kuwari, director of Qatar Leadership Academy, said having the greenhouses had allowed the students to put theoretical lessons learned in the classroom into practice in the real world. Brig. Gen. Al Kuwari added: “Project Greenhouse has been a great success and by planting the seeds, nurturing the plants and finally harvesting and eating the crop it has given our cadets a very real sense of achievement. Fruit and vegetables grown by students at QLA include lettuce, parsley, tomatoes, chillis, eggplants and cilantro. They have also introduced mango trees and okra and even built an irrigation system to make watering the plants much easier. The next stage, said Sunny Joseph, science and technical coordinator at the school, is for solar panels to be installed. Mr Joseph said it was hoped to connect these to fans which would allow the school to extend the growing season through the summer. Mr Joseph said that QLA’s English department had used the greenhouses as inspiration for reflective writing, while the humanities department was planning a farmers’ market for the community. 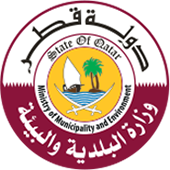 There are also plans for an environmental study center at Al Khor Park. Students at the school are now planning a pizza party, using the next crop of organic vegetables as toppings. Abdulaziz Al Jabari, who is in Grade 7A, said he had learned a lot. Nesreen Al-Rifai, chief communications officer at WCM-Q, praised the children and teachers all of the participating schools for their hard work. Mrs Al-Rifai said: “Since its inception Project Greenhouse has proved to be a huge success, not only because it encourages children to eat and enjoy fruit and vegetables, but also because there has proved to be such a synergy with schools’ curriculums. As Qatar Leadership Academy have demonstrated so well this year, the greenhouses do not just teach children about cultivating plants and healthy diets. They can also be used in science lessons to teach children about humidity and temperature, math teachers can use them for lessons on measurements, geography students can learn about the effects of climate on crops, and, as QLA have shown, literature students can draw inspiration from the plants themselves.